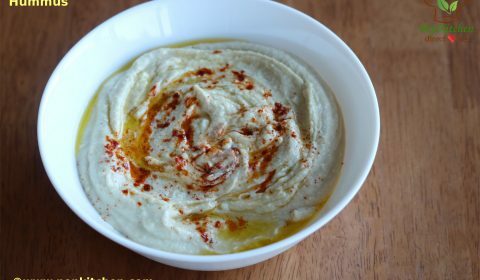 Hummus is a traditional spread or dip made with cooked chickpea blended together with garlic, tahini paste, salt, lemon juice, and olive oil. It is served traditionally with pita bread, lavash, falafel or chopped vegetables. It is a Lebanese or Middle Eastern Cuisine. 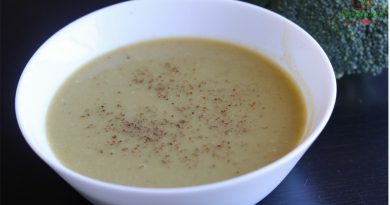 It is protein-rich, healthy, gluten-free and vegan. 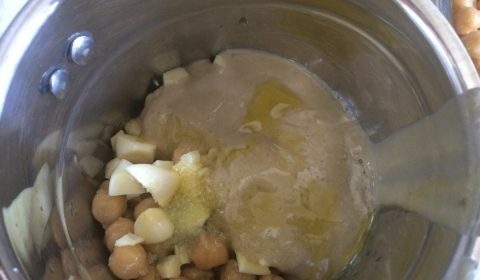 The homemade hummus is tastier and creamier than one bought in store. 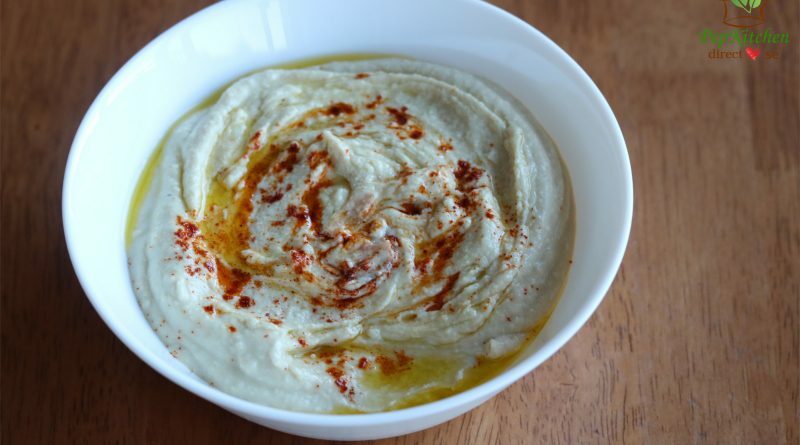 You can make a big batch of hummus and can freeze it in small containers. I like to freeze in small containers and use them as a dip to be carried in the lunchboxes or to make a falafel wrap for a quick lunch. I had also shared the recipe for falafel earlier. Hummus goes well with falafel. 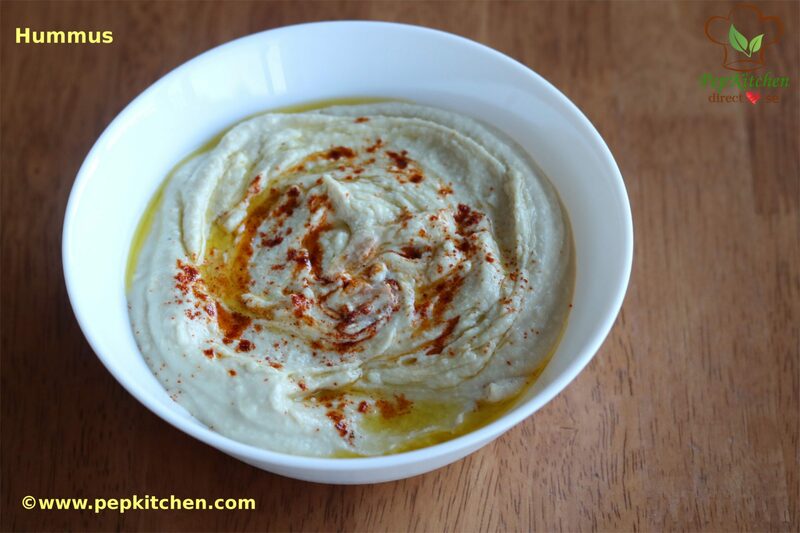 I will also share the recipe for baba ganoush dip and roasted red capsicum and walnut dip. 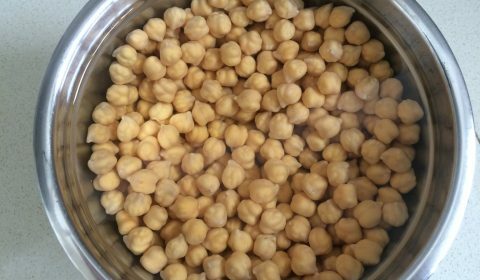 So friends do try out this simple and easy to make chickpea dip and please share your feedback with me. 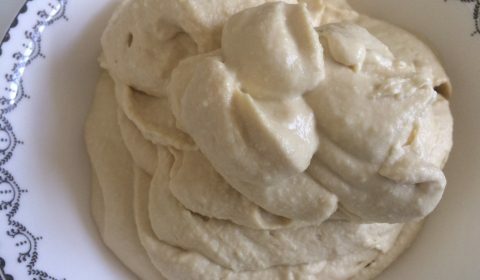 Hummus is a traditional spread or dip made with cooked chickpea blended together with garlic, tahini paste, salt, lemon juice, and olive oil. 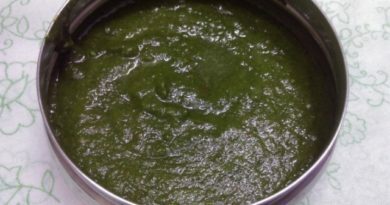 It is served traditionally with pita bread, falafel or chopped vegetables in Lebanese or Middle Eastern Cuisine. 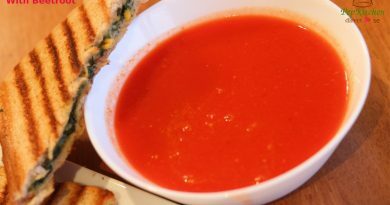 It is protein-rich, healthy, gluten-free and vegan. 1 tsp olive oil drizzled on the top while serving. Wash and soak chickpeas (kabuli chana/ chole) overnight. 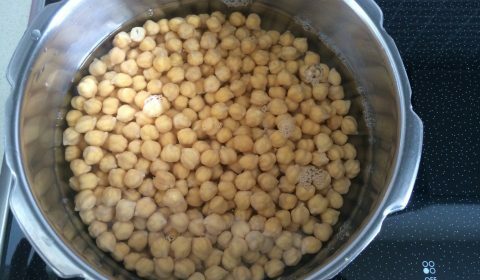 In a pressure cooker, cook the chickpeas with two cups of water and salt for 5-6 whistles on high heat and 2 whistles on low heat. 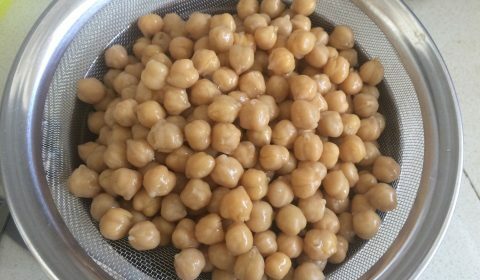 Drain the cooked chickpeas. Reserve the drained liquid and keep it aside. 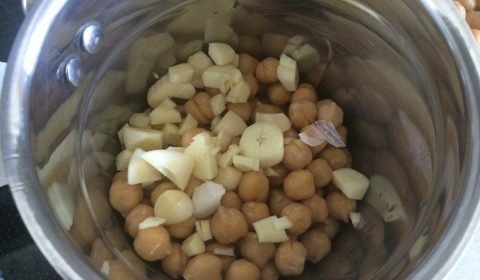 In a mixture jar, add the cooked and drained chickpeas and chopped garlic. Add lemon juice, tahini paste, olive oil and salt to taste. Add the reserved drained liquid as required to grind into a smooth paste. Blend the mixture into the smooth paste. The hummus is ready. You can refrigerate till you serve. Or freeze it in small containers till used. Place the hummus in a serving dish. Sprinkle paprika powder over it and drizzle olive oil over the prepared paste. The hummus is ready to serve. Serve it with pita bread, falafel, vegetable sticks or lavash. Thank you for sharing the popular dip. Looks so simple to make.